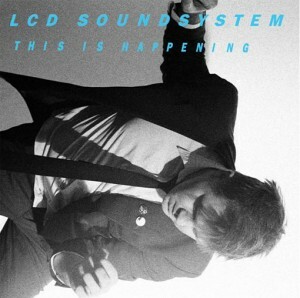 * EMI Australia have revealed that the new LCD Soundsystem album will be called ‘This Is Happening’ – and it will be released in Australia on May 14. The first single from the album, ‘Drunk Girls’ is at radio now. * The race for sales coming up to Mother’s Day will be on in earnest, with Australia’s Got Talent singer Mark Vincent releasing his second album ‘Compass’ on April 16. He’s due to hit retail for a series of instore appearances, including on Record Store Day (April 17) at JB Hifi Eastland in Melbourne. * The Music Network magazine is reporting that a tour announcement will happen on Friday for a second Silverchair/Powderfinger double bill tour. * Michael Coppel has announced an Australian tour for US singer songwriter Rickie Lee Jones. The singer will play Perth, Sydney, Brisbane, Adelaide and Melbourne from May 26, with tickets on sale on Monday. 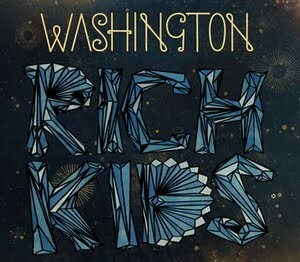 * Her ‘How To Tame Lions’ EP remains at a very respectable No.2 on the ARIA physical singles chart after 27 weeks in, but Universal Music has this week serviced Washington’s brand new single ‘Rich Kids’ (pictured) to Australian radio. * Also at local radio this week is the club hit for Ou Est Le Swimming Pool called ‘Dance The Way I Feel’, the new Operator Please single ‘Back And Forth’ and a track by Free Energy called ‘Free Energy’. * Sony Music has revealed the new Band Of Horses album ‘Infinite Arms’, the outfit’s third, will be given an Australian release on May 14. * On the UK singles chart this week, Scouting For Girls have scored their first ever UK No.1 single with their new track ‘This Ain’t A Love Song’ debuting in the top spot. Also debuting strongly this week was Plan B at No.3 with ‘She Said’ and Delirious with ‘History Makes’ at No.4. Alex Gardner’s track ‘I’m Not Mad’ struggles to debut at No.44. * And on the British album chart, it’s Boyzone holding on once again with their latest album ‘Brother’. In fact the only debut in the top ten is at No.10 – a best of for Free & Bad Company. Gab Cilmi’s album ‘Ten’ slips alarmingly from No.28 last week to No.73 this week, while things go from bad to worse for her labelmates Sugababes. They fall again – from No.43 to No.76. Ouch!